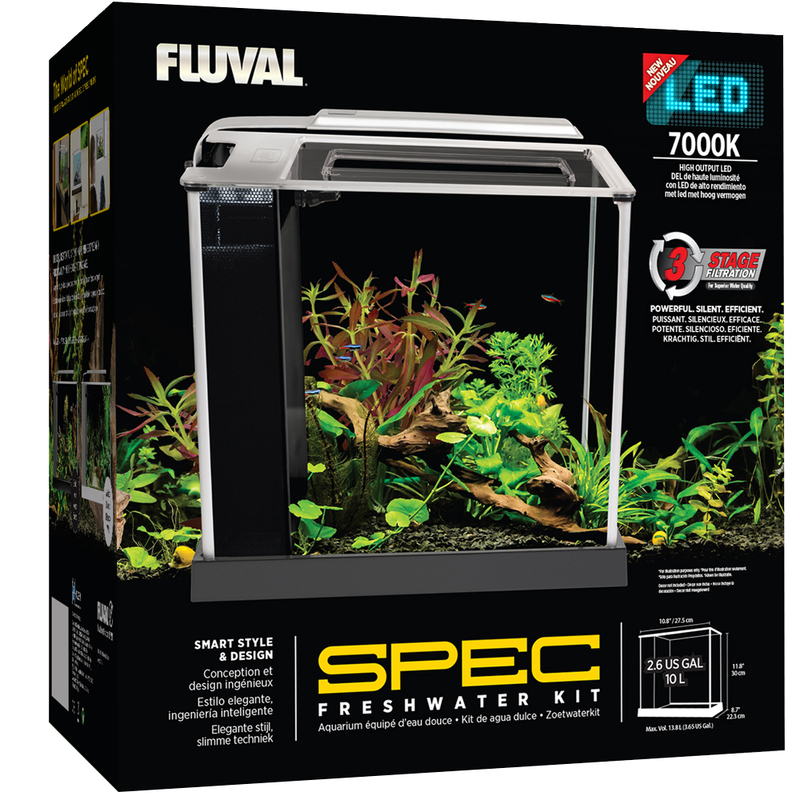 The newly redesigned SPEC series now features an impressive high-output 7000K LED, which generates 20% brighter lighting performance for noticeably bolder fish colors and plant growth. SPEC does not disappoint where filtration is concerned either, boasting a powerful 3-stage system with oversized mechanical, chemical and biological media for unparalleled water clarity. *Model selection may vary by country. Powerful, energy efficient 7000K LEDs promote plant growth and vibrant fish colors. 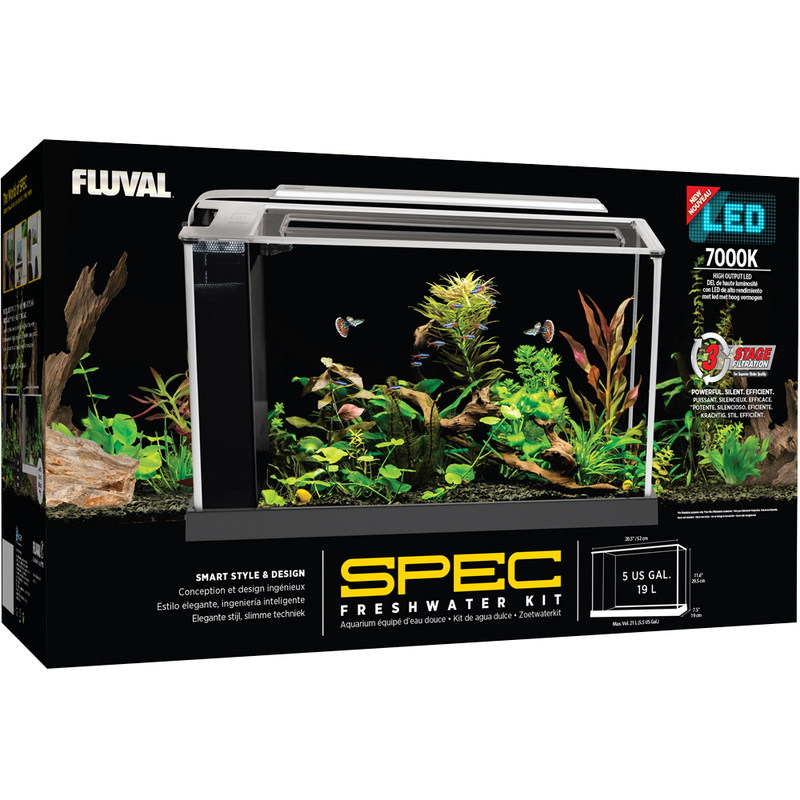 Fluval heaters offer quality, reliability and modern aesthetics. With several models to choose from, you’ll be sure to find the perfect fit for your SPEC series aquarium. (L x W x H) 10.8 x 11.8 x 8.7"
(27.5 x 30 x 22.3 cm) 20.5 x 11.6 x 7.5"